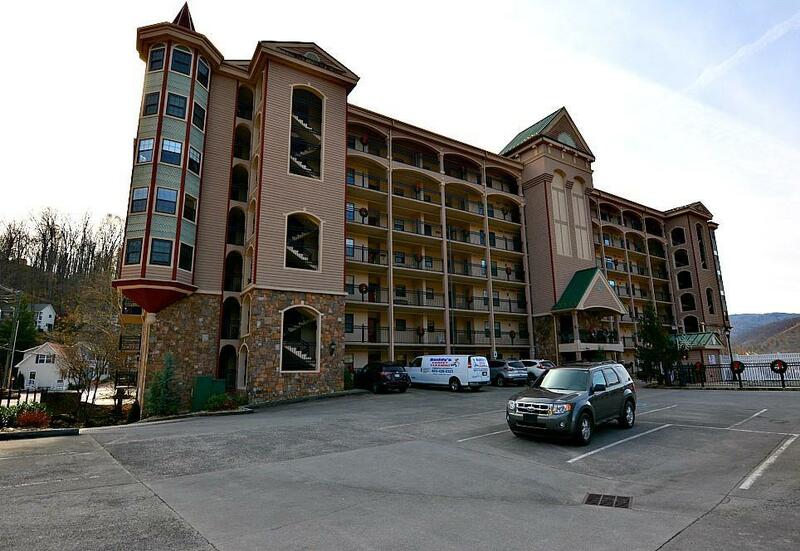 The Gatehouse Condominium Complex located at 210 Roaring Fork Extension is a step above the run of the mill 2 Br/2 bath condo options in Gatlinburg. Situated on the east bank of the famous Roaring Fork, the steepest descending watershed in the Eastern United States, the'' Gatehouse'' blends nature with a nearby trolly stop. Thus is convenient to everything Gatlinburg offers. Amenities include an elevator, a seasonal pool plus a pleasant sitting area along Roaring Fork. A deeded covered parking space is included and is valued at 10K. Unit 706's has many one of a kind touches such as the stacked river rock fireplace with stone mantle, high end flame retardant cedar paneling along with a custom painted mural in the dinning area trey ceiling. Bedroom 2: Priv. Closet/2nd Ba Adj.